Platform selection, now there are many manufacturers, through the Internet is also easy to find, then choose what kind of products to do? What kind of product suits you? What kind of products do you choose? Choose the product, first of all, like it, love it, if you are engaged in a career is exactly your hobby, then really congratulate you, you are about to enter a life journey! “Like and love” will make you immersed in it infinitely, you enjoy it, go to work tirelessly, you have confidence in the future, the law of attraction tells you, what you believe, you will get! Faced with so many suppliers, how to choose?! In the past, when the network was not developed, you could only go to the exhibition to find suppliers, but at that time the exhibition suppliers were basically foreign trade companies, manufacturers and foreign trade companies were independent, foreign trade companies did not have the support of real enterprises, under the lure of profits, foreign trade companies took orders and looked for cheap manufacturers everywhere to do their goods, which seriously led to the purchase of large quantities of goods. It’s different from the samples you see at the exhibition. Without the support of factories, foreign trade companies can not control the delivery date. Therefore, in the network era, factories are also able to develop their own foreign trade department. It is suggested that purchasers must choose factories with entities to cooperate. 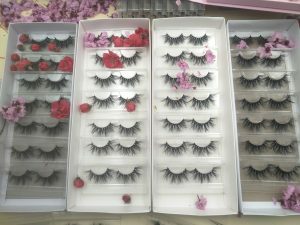 Why choose eyelashes? Eyelashes belong to daily consumables, which are used by everyone. The market potential is huge. Eyelashes belong to cosmetics and lipstick economy. The more depressed the economy, the bigger the market. It will not be affected by market economy. Small eyelashes, convenient transportation, general express delivery can reach the door, regardless of the impact of national economic policy! Huge market potential, intentional eyelashes, will change your destiny! If you choose the right product, you can do it with ease, show your enthusiasm and work hard to realize your dream.